I think it's safe to say that authors love libraries as much as readers do. After all, we were readers before we became writers. I love libraries as much as I love breathing, my family, and sunshine. As a child, it was a rite of passage at my house when my sisters and I became--in my Mother's opinion--old enough to get a library card. This magical age was six. Having achieved six years on this planet, we were entrusted with our own card, and my mother made an important occasion out of walking with us to the library to get the sacred piece of cardboard which would someday be filled with titles and stamps. My sisters and I memorized our library card numbers as if the card were an important part of who we were. And this could not have been more true. As a child, I spent hours walking to the nearby library, selecting books, and hauling home my treasure. I knew all the librarians and I thought they were rulers, filled with power in my small home town. 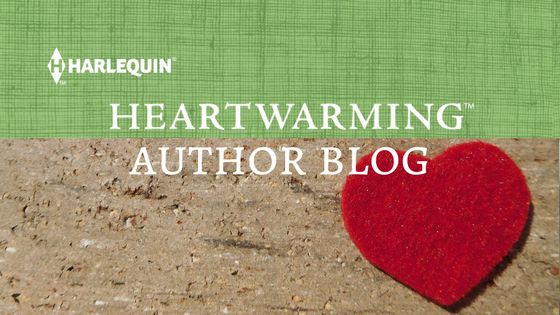 I was lucky my mother believed in the power of reading, and my father was equally important. My Father was on the board of the local library. He would attend meetings at least once a month, going out after dinner and returning home late filled with stories about what was happening at the library. My father's devotion as a board member was intense. At one point in his service, he raised (almost single-handedly) $450,000 to build an addition to the library. He personally wrote letters and called benefactors for donations, and he even got very creative. Although he never rode a motorcycle in his life, my Father raffled off a Harley-Davidson, selling tickets for a year at every fair and festival, to raise money. He retrofitted a trailer to haul the motorcycle around and displayed it wherever people were gathered who might buy a $20 raffle ticket. The addition to the library is beautiful, and I know in my heart he deserves the credit. (And my mother, who went along on all those trips and helped patiently--they should have named the addition after her!) Dad just celebrated his 73rd birthday, and he still serves the library however he can. I loved my hometown library because of my parents' example, but I also fell in love with a majestic library as an adult. The most incredible library I've ever seen is the Library of Congress in Washington, DC. 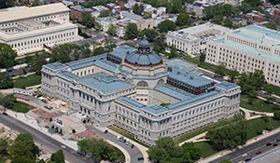 Designed by Thomas Jefferson, the LOC is right behind the Capitol, and it is visually stunning inside and out. The mosaic inside depicting the goddess Athena is amazing, and all the inlaid depictions of the greatest writers in history is an inspiration. White marble staircases, soaring ceilings...swoon. You may have seen the many movies--including National Treasure--that show the "reading room." I've actually been in that room! On a trip to Washington, DC, a few years ago, I discovered that a regular person like me can get a library card to the Library of Congress. That's right, you guessed it. I have a library card to the Library of Congress. I can go in that beautiful room, select a book off the shelf, and read. No matter how stunning the nation's library is and how rich with history, at its heart, I know it's just like the little library down the street from the house where I grew up. Someone had to believe reading was essential, someone had to raise the money to build it, and everyone has a responsibility to make certain that the treasure of words remains accessible to everyone who takes the bold step of signing up for a card. I have a Library of Congress library card too! Good for two years. And I went in that magnificent reading room. The clerk even let me take a picture inside. I asked first, and she said she’d pretend not to see me. I was discreet about it. It is an incredible building. I love our local library just as much. It’s really clean and cozy inside. There are large floor to ceiling windows where you can look out into the garden. I can sit in there all day. We should meet there sometime and just read until they kick us out! Our small town library is a hopping place. Zombie walks, prince/princess afternoons, movie days, game nights, the annual writing retreat (hosted by me)...and amid it all, a steady stream of board books, romances, mysteries, cookbooks, westerns, thrillers are checked out. Both my kids volunteer there, and I can't imagine our community without it. A great and vital post, Amie! You brought back such memories, Amie. I too could walk to my local library, the highlight of my childhood. I checked out armloads of books every two weeks and can still remember many of them. I once attended a function at the LOC—such an amazing place! Happy birthday to your dad. He’s pretty amazing himself. Cute story getting your first library card. 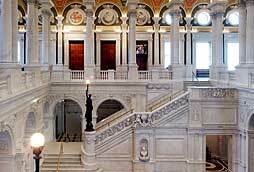 I want to go to the Library of Congress as well as NYC's Rose Room, just redone. In Lexington, KY, last week, I visited their library with a five story atrium. I loved our library. At first, our town was served by a bookmobile, but later opened a small libarary in an empty shop on the square. My mother volunteered to run a preschool reading program every Saturday, and I'd tag along to check out a pile of books, maybe run the filmstrip, and get a cherry Dr. Pepper at the drugstore afterward. I still get unreasonably happy when I see a card catalog. I cannot imagine life without the library. I couldn't possibly afford my reading habit without it. I remember as a child that my dad would only allow me to check out five books a week. I love this post--I have the same lovely memory of getting my very own card--it was an apricot-peach color. 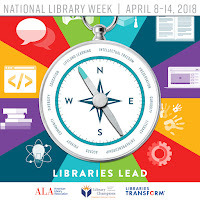 My mother was a career librarian and we had a library night as a family. Later, when I first started writing articles decades ago, I worked at a library in Maine. What a privilege to have access to libraries. I'm on the road right now and have library books in my bag and library audio books in my car. Lucky me! The LOC is a true jewel of DC--and the whole country! I think libraries are so important and I hope current families utilize them as we did growing up. My sister and I used to each have a 4 book maximum and we'd choose books we both wanted to read so we really had 8 books for the week. In our small town our library was staffed by volunteers and I am forever grateful to all who worked there.